The other night, I was watching one of my new favorite TV shows, “Black Mirror.” If you’re unfamiliar with the series, it features stories that explore the social implications of how technology might be used in the not-too-distant future. Usually, it’s about how certain technology can lead to disastrous situations when misused, but some episodes take a more optimistic perspective. The show was very entertaining, but it also made me stop and think about the parallels to our current society. Even though it’s exaggerated for narrative effect, the premise of this episode isn’t much different than what happens today with many review sites. 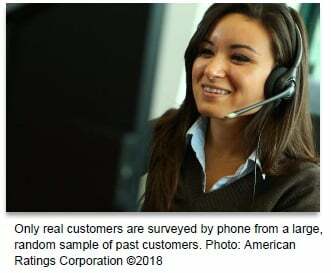 Often, consumers will review a company online without ever using its services, which unfairly deters some people from using that company and negatively impacts its overall reputation. And the worst part is, companies can’t do much to stop it from happening. Thankfully, if you qualify for Diamond Certified, your company won’t have that problem. 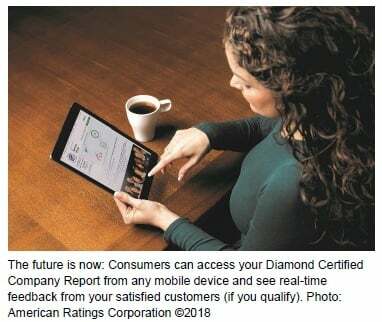 There won’t be a single review on your Diamond Certified Company Report that doesn’t come from a verified customer, so consumers who are considering working with you can see real feedback about your high-quality work and dedication to customer service, which will make them more confident in their choices. It may not be an omnipresent star rating like in the “Black Mirror” episode I watched, but the Diamond Certified brand is still an invaluable way to signal your quality and build your company every day. It beats other resources in attracting and influencing Quality Customers because: 1) it’s based on the most accurate, statistically reliable ratings, not gamed reviews; and 2) it’s backed by local help and a powerful Performance Guarantee. Of course, Diamond Certified helps attract Quality Customers to your company (if you qualify), but it’s up to you to keep them satisfied. Your prospects and customers often view and interact with your company digitally, so the way you and your competitors are digitally presented plays a big role in prospect choice and even customer retention. That’s why gaining and keeping a digital advantage over your competitors is absolutely crucial. It’s easy to get overwhelmed when thinking about all you should be doing digitally, so try narrowing it down to a single aspect: communication. To whom does your website communicate? How does your team communicate via email and text? Do your web videos and pictures communicate your brand’s meaning? When prospects search for your name, how does it appear in Google Search? Is it easy to find important information, photos, ratings and videos about your company when prospects look for you on their smartphones? Do you have a compelling Facebook or Twitter account? We know you’re too busy running your company to become an expert on all things digital. That’s why we’ve made it our mission to build great digital tools for your company, giving you a decisive advantage without forcing you to take your eye off your main goals (if you qualify for Diamond Certified). 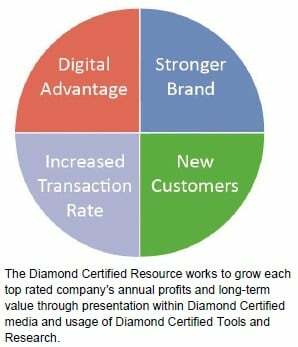 To learn more about Diamond Certified, get your questions answered and lock up a slot, please call Jasmin Singh at (415) 580-1863. If you qualify, it will likely be the best business decision you make the entire year.